We will be closed on Sunday, April 1, 2019, and that’s not an April Fool’s joke! 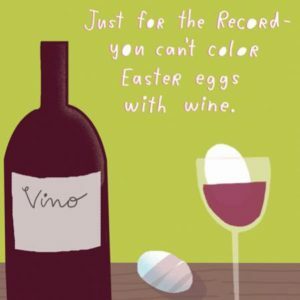 We hope the Easter Bunny put some bottles of wine in your Easter basket! Join us for the ultimate Easter keepsake and wine tradition! 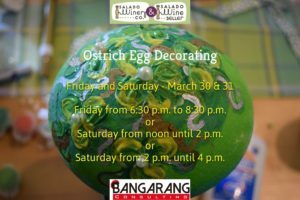 Buy your tickets today to decorate ostrich eggs at the Salado Winery for Easter. These ostrich eggs are keepsakes and people tend to come up with some fun conversations over wine. It’s pretty awesome. When you join us, you’ll receive a cleaned ostrich egg (they have to be prepared ahead of time by scrubbing them with vinegar and a toothbrush. Aimeé is a real diva about the whole thing, which is why we have to charge you so much), decorations, paint, egg dye, and a glass of wine included from Salado Winery Company & Salado Wine Seller. You will be able to take your wine glass home as a keepsake, as well. PLEASE brainstorm before you come. Look up your favorite designs on Pinterest or think about a milestone of that year. Bring some of your own decorations, if you’d like. Classes will be lead by our favorite entrepreneur and small business coach, the owner of Bangarang Consulting, Aimeé Nesse. 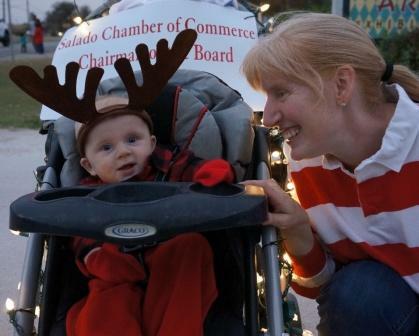 Each Friday and Saturday night during Salado Stroll weekends, holiday carolers will serenade the late evening shoppers along Main Street. Many shops will host a variety of live entertainment all day and evening. Children will be enchanted with the live nativity scene, sponsored by the First Baptist Church Vendors, lights and a festive mood abound. 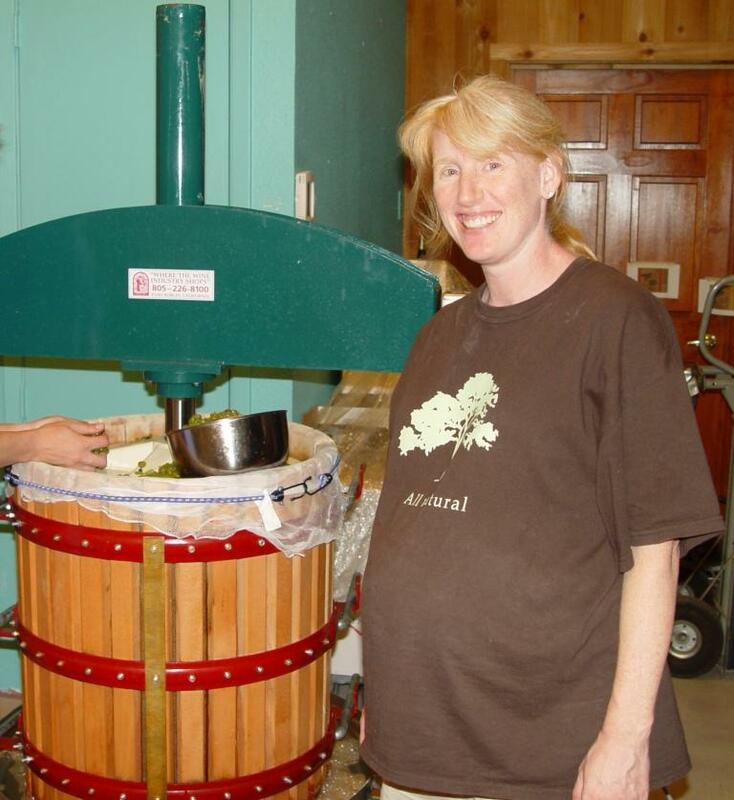 Bring your family & friends by for a tasting and a tour! Ugh, seems like every Saturday Dino is sick! Does not feel like progress to Spend 3 hours at childcare on Thursday and wake up runny nose, congested on Saturday. We are open everyday except Christmas, so come on by and taste some wine! This is a picture of him at one month old, waking up from a nap in his mom’s office at the winery. He has been to the winery every day of his entire life! That’s what happens at a small family winery, the family starts working when they’re quite small! You are welcome to visit him any time we’re open, but we can’t promise that he will always be in this good mood. 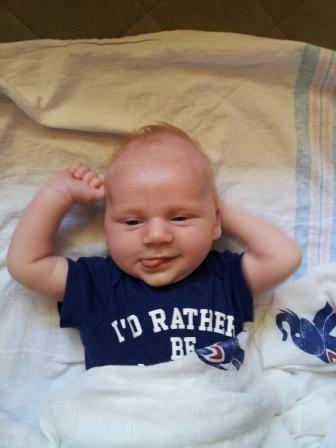 BTW, his shirt says “I’d rather be naked”. Of course we don’t know when he’ll join us, but Baby Grape will be here soon. 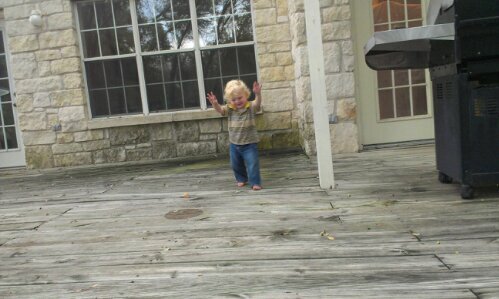 Given that this is a very small family business, we’ll likely have to close for a few days when he decides to join us. Then we’ll probably cut back on our hours during the month of August. We’re really sorry if this causes any inconvenience and we hope you can understand. https://saladowinery.com/wp-content/uploads/2016/08/HeaderLogo_Color-1.png 0 0 saladowine https://saladowinery.com/wp-content/uploads/2016/08/HeaderLogo_Color-1.png saladowine2012-05-11 19:02:222012-05-11 19:02:22When's the Baby? Now that the yeast fermentation has finished, our wines are undergoing malolactic fermentation. The wines were inoculated with malolactic fermentation culture and today we’re testing to see if the conversion of malic acid to lactic acid is complete. I’ve been taking the Oklahoma Grape Grower’s Course at the Oklahoma State Fruit Station in Perkins, OK. It is a great overview of grapegrowing. Many of my classmates are cotton farmers looking to switch to a more profitable output. They sure know a whole heck of a lot more than I do about agriculture than I do! The instructors are excellent though and provide as many resources as they can. They’ve got a vineyard test plot and I cannot wait to get my own vineyard started. From Oklahoma, I took a trip on up to Illinois for the annual Wilkey Reunion. This gave me a chance to visit a few wineries in Illinois, Missouri, and Oklahoma. 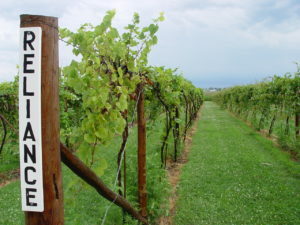 My favorite winery in Illinois was the Mackinaw Valley Vineyard. They were friendly and the calming, relaxing atmosphere was amazing. I took copious pictures of their vineyard and watched a rain storm blow by. I also visited friends in Chicago and St. Louis. In Chicago, Millenial Park just opened and I had plenty of fun watching kids play in the fountain and people watching in the gardens. The following day I got lost at Sam’s Wines at Spirits. So much wine and so little time! Maybe I should build a giant warehouse and sell lots of wines instead of trying to make wine? Maybe I should just move to Chicago and get a job at Sam’s!